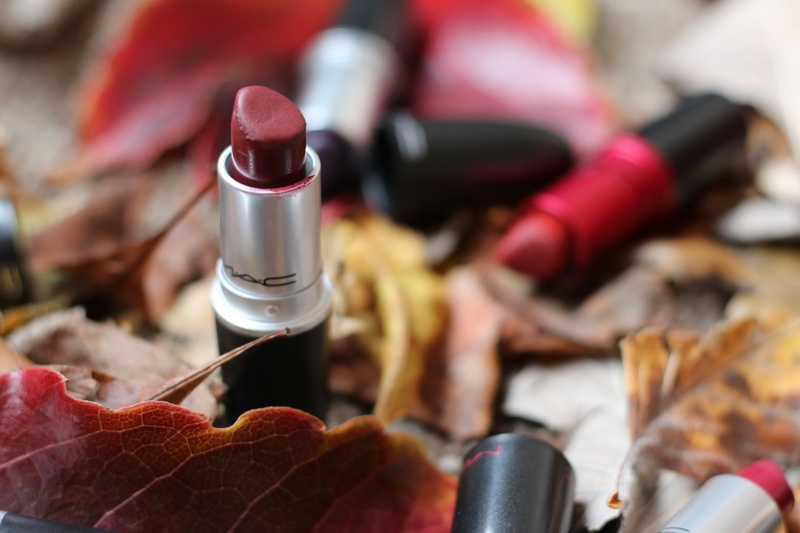 As Autumn is finally upon us, I wanted to share with you my top 5 MAC Autumn lipsticks! Todays post is actually a collaboration with Jess from Jellybluesblog.co.uk! Me and Jess both started our blogging venture at the same time, so I'm really excited to be writing a collab post with her today. 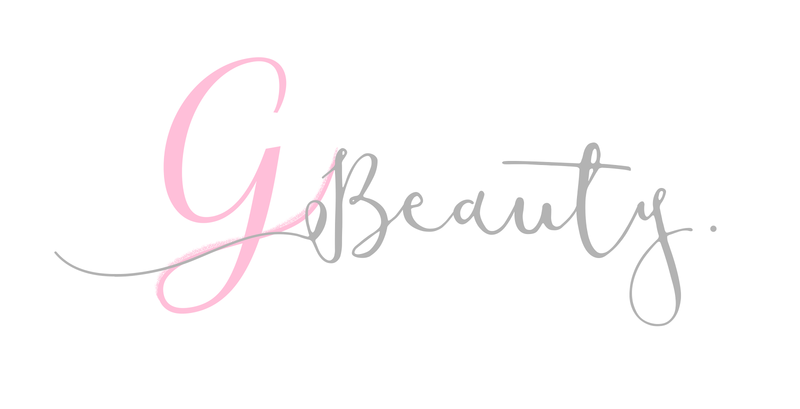 I've been reading her blog and lusting after her beauty collection for months and I hope you go and check her out. Although she mostly writes about beauty products, I have seen a few jewellery and dog food posts too! So if you're looking for a new blog to follow today, go and check out hers! She also dabbles in the ol' world of Graphic Design, hence why her logo is so pretty! 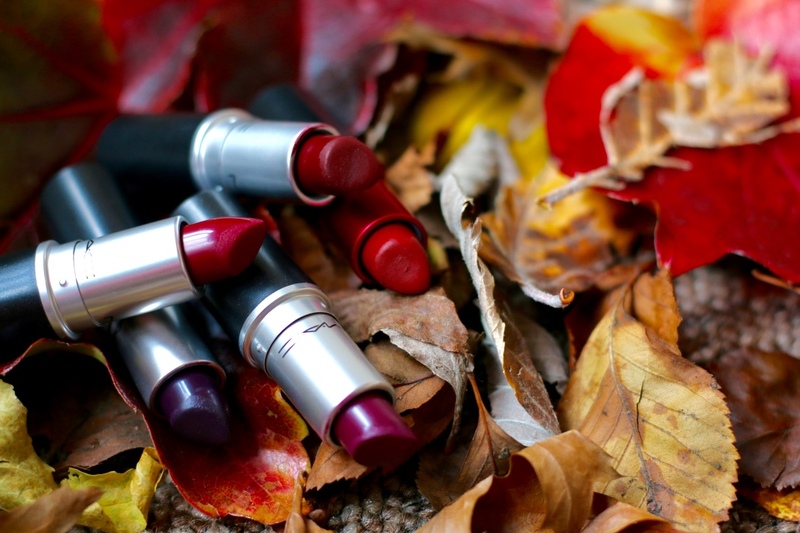 Check out her blogpost on her favourite Autumn lipsticks here! I'm so excited to see what lipsticks she chose. 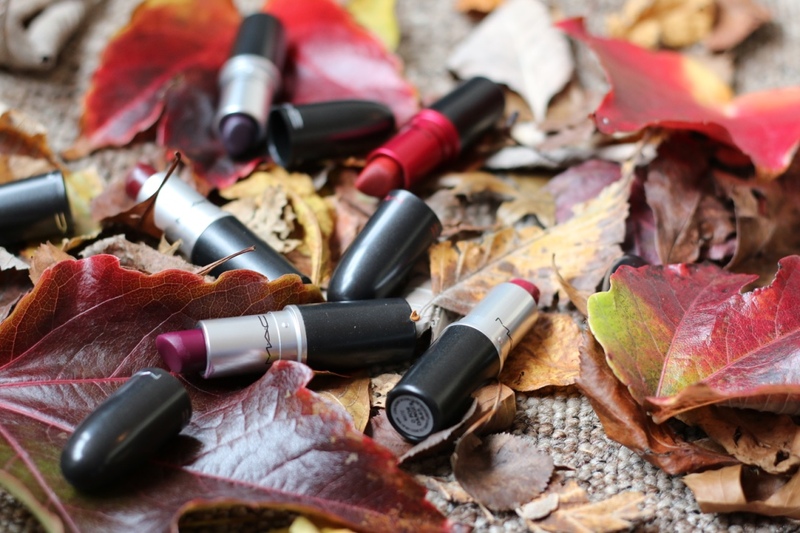 Jess is much more interesting than me and has chosen non-MAC lipsticks as well in her post, so if you're looking for a bit more variety then definitely check out hers! She is also very active on Twitter and Instagram if you want to join me in my lusting. Enough of my brown nosing, and on with the show! I have chosen 5 MAC lipsticks today. All 5 of them have a special place in my heart and I'm very happy to be sharing them with you today. 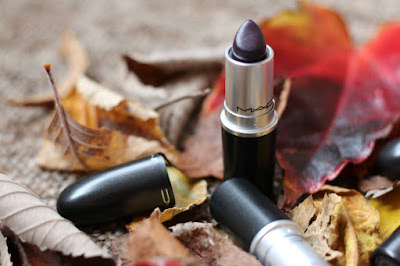 I know MAC lipsticks aren't the cheapest, but I honestly just don't rate many lipsticks as much as them. I have chosen a lot of berry and red colours, I hope you like them! I LOVE a good bold autumn lip. 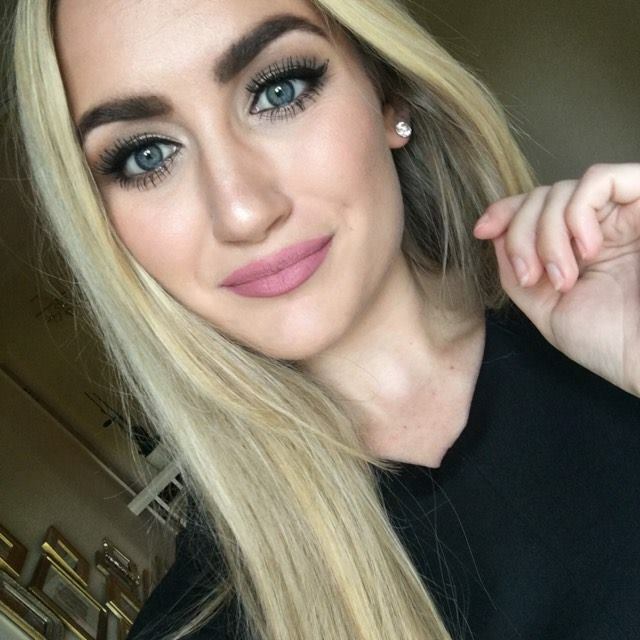 This was my first ever MAC lipstick and I have never looked back since. Rebel is a purple berry colour. 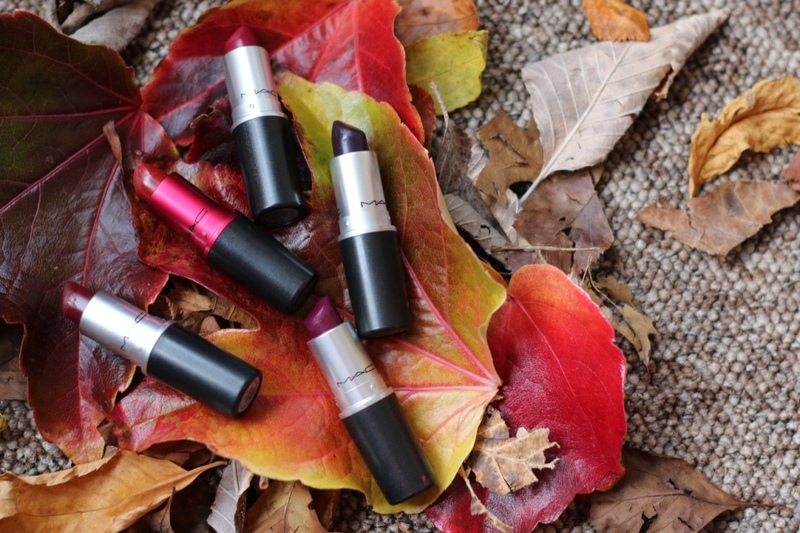 It has a satin finish, which is comfortable on the lip but has a good amount of pigment. It's still one of my all time favourites and would definitely recommend it for a bold colour. Again, another favourite of mine. This colour comes off quite burgundy when worn and it is a matte consistency. I find mattes a little drying on the lips and less comfortable than other formulas but it is still very wearable. If you want a lip liner to go with this, I would recommend MAC lip liner in Portside. The two are beautiful together and I always find it much easier to put on bold lipsticks with a liner, less room for mistakes! 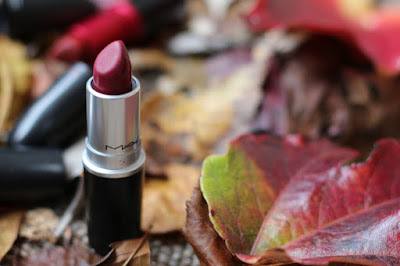 This is a deep red and matte formula. I can't believe it's taken me so long to buy it! I wore this to support Wales in the England v Wales rugby match the other day. Wales won, so just saying. It probably has good luck vibes. This is quite a bold colour to pull off but can definitely be done! It is a satin finish and can come across quite glossy on the lips. It is a dark purple that is definitely a staple for halloween. I am in the process of finding a lip liner to go with it though as I found it wasn't QUITE bold enough for me when I wore it the other day. 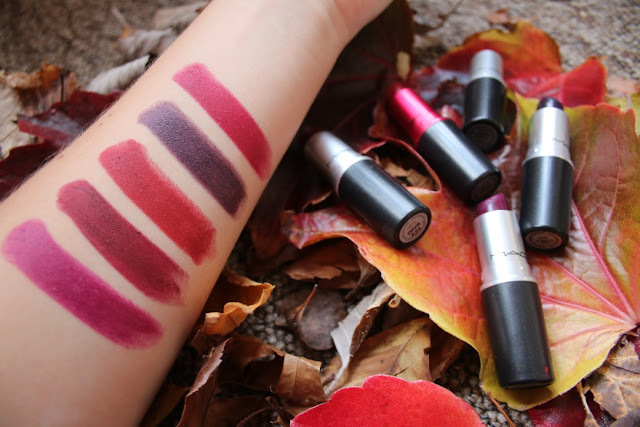 I will probably go for Cyber World lipliner for MAC, let's be honest. Also, this was a great lipstick to drink red wine with. This is part of the new Matte line and it is gorgeous. It is more of a pink red than Viva Glam I but is still as wearable. This is one of my favourite pub lipsticks. Need. To. Stop. Drinking. 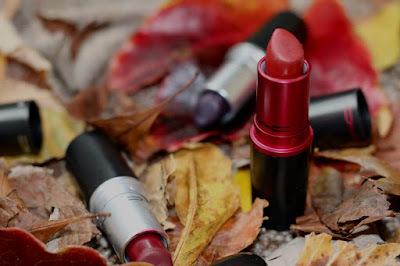 That concludes my top 5 MAC lipsticks! Another one that was close to coming onto the list was New York Apple if you weren't quite satisfied with these five! 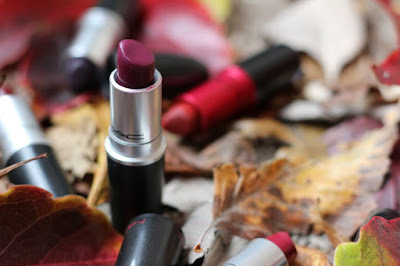 If you're a fan of Pink Lipsticks, I also have a Top 5 Pink Lipstick post as well. Click here to read it! 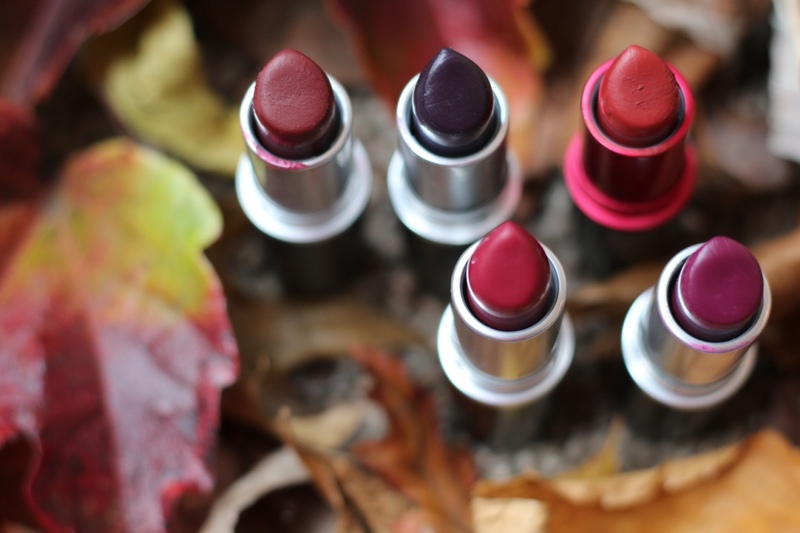 Do you have these lipsticks and do you like them? Which one is your favourite?